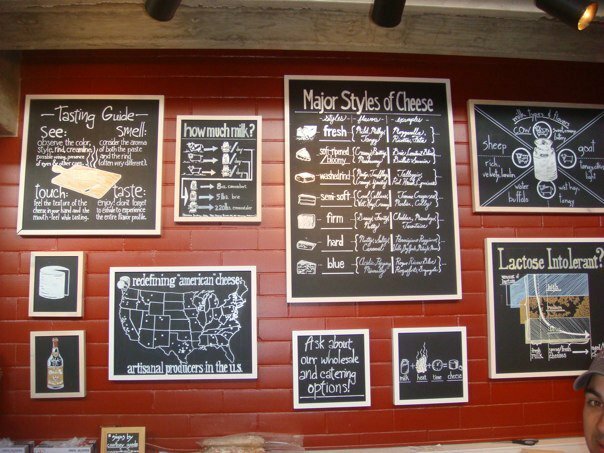 What a great little shop, and a genius idea to have all the basic cheese knowledge spelled out so clearly. I love their redefining American Cheese map, showing the ever growing number of cheese makers in the country. Their shop was well kept, the people were inviting, positive, and concerned with local quality…try Chabrin…the goats milk cheese from the Pyrenees. It is made by the same people who make Ossau Iraty. Tags: cheese shop. Bookmark the permalink.